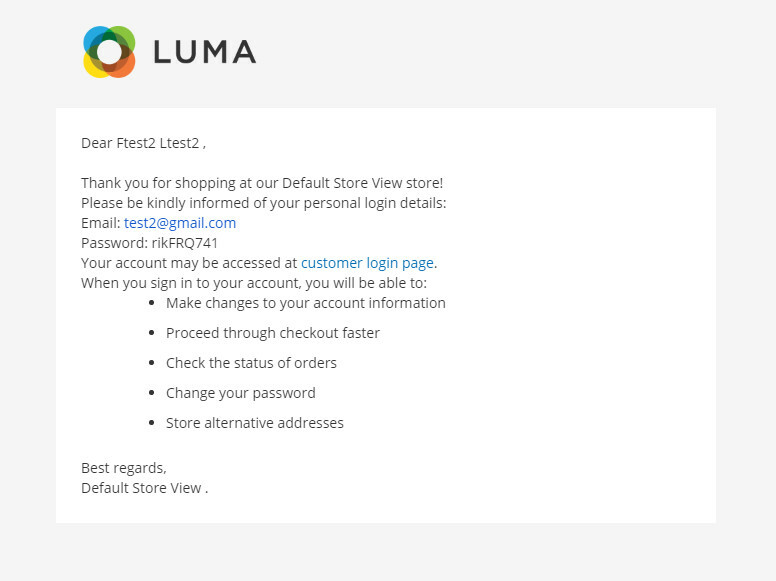 All website visitors prefer guest checkout to easily purchase rather than registering an account. 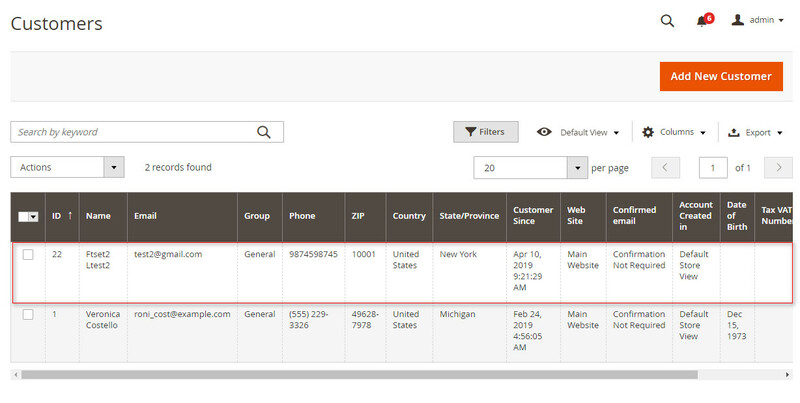 But website admin wants to add customers contact information in data record. 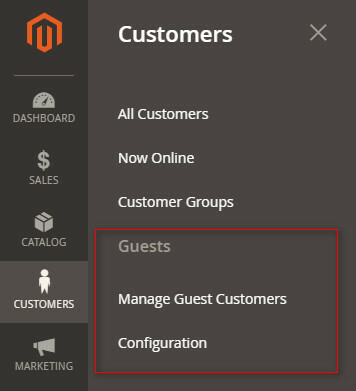 Guest to Customer Magento 2 Extension converts guest customers to registered customers after the checkout step is finished. 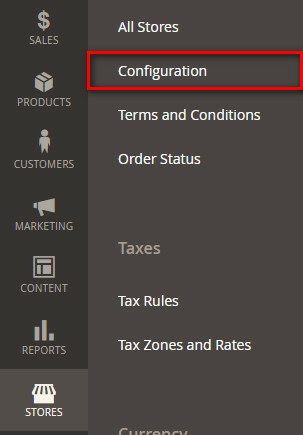 This extension allows admin to automatically create a customer account using guest order information when guest customer places the order. 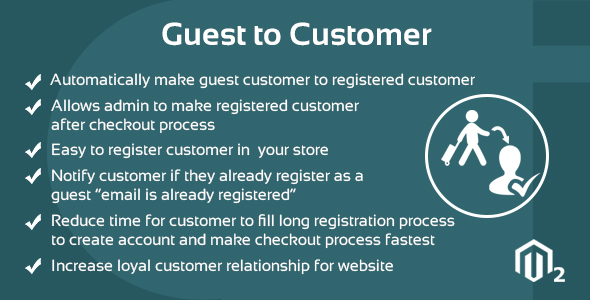 Our Guest to Customer Magento2 Extension convert guest customer to registered customer if guest customer don’t fill long registration process to create account. 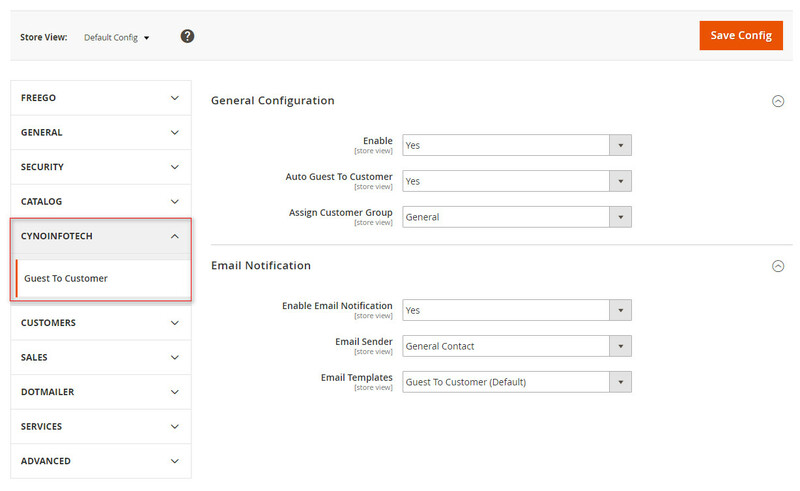 After a guest user is converted to a registered customer and customer again places the order as the guest user using the previous Email ID, the guest to customer magento2 extension notify customer that “email is already registered”. All customers like to use guest checkout neither than register or login on website. Because checkout as a guest customer is fastest process and escape customers from unnecessary emails.